At Get In the Car, we believe in sponsorship. 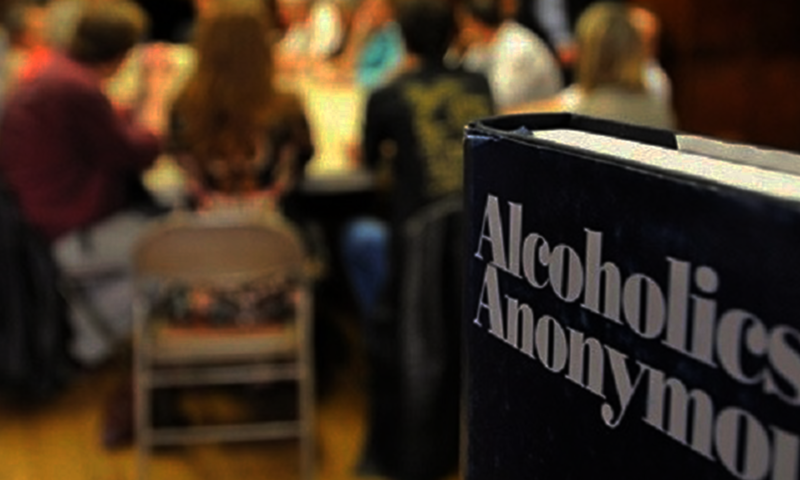 We strongly recommend every member get a sponsor to walk them through the 12 Steps (our program of action) of Alcoholics Anonymous. Because our group is built on serving all three of our legacies, we also encourage our members to secure a Service Sponsor to help walk them through the 12 Traditions and the 12 Concepts of World Service. A service sponsor is someone who has given back to the Fellowship of A.A. through their service in areas such a sponsoring people, group service commitments, and service below the group level at the District & Area level. 1. One, listen in meetings to those sharing, and when you hear someone share, and what they say resonates with you, or you say to yourself, “I want what THEY have” – ask them after the meeting if they are taking on new sponsees. 2. Visit with the meeting chair after one of our meetings and let them know you need to find a sponsor, and they will be happy to help you find one (even if it’s only temporary to get you started). 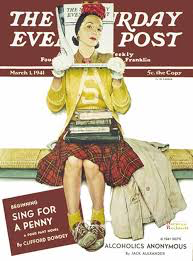 If you would like to purchase other A.A. literature, visit the A.A. Online Store. This page will keep members up to date on group service and member outgoing speaking commitments. All group service commitments are 1 year positions (except GSR & Alt. GSR which are 2 year positions) and run January 1st – December 31st annually). The positions above that note “+Committee” are those positions that have a committee to help them do their work. The Chairs of those committees will be leading the charge for that service commitment and need strong teams to assist them! Elections for all group trusted servant positions will be held at the October business meeting annually (except GSR and Alt. GSR, which will be held on the EVEN numbered years to match the NETA65 panel rotation schedule). So, let me ask you a question…. as you’ve been making your way along your journey, have you ever thought or said to yourself, “I’m at that point in my recovery where I want more… I wanna go deeper”… have you ever said that? 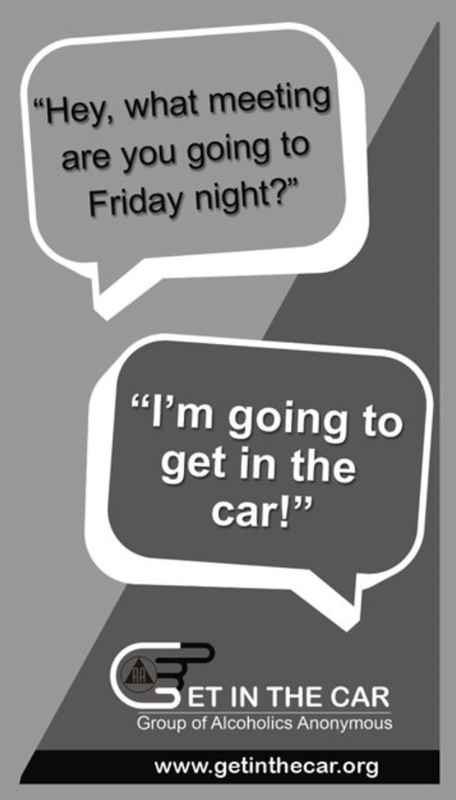 That’s exactly how the Get In The Car Group of A.A. in Grapevine, TX was born. One of our founders, Rick W., was on a business trip in Oklahoma City and met a friend of his at his friend’s home group one evening. That group was a Men’s Big Book study called the “Altered Boys” Group which meets at Chapel Hill UMC, 2717 W. Hefner Rd. 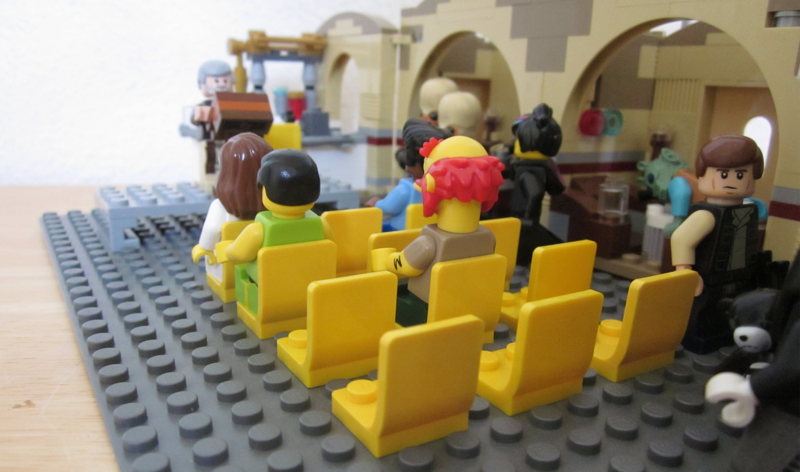 From the moment Rick entered that church, he had an overwhelming feeling of gratitude for the greetings he received by the vast majority of the 75 men in attendance. Each of those men had a big book in their hand (mostly falling apart), smiles on their faces and a joyous heart that was palpable. The unique style and format of this meeting was unlike anything Rick had ever experienced to that point in his over 30 years of recovery. While there were many cool things that happened during that meeting, the most profound thing he experienced was at the end of the meeting. As soon as the Lord’s Prayer was finished, every single one of those 75 men came to the center of the room, took a knee, put their hands on each others shoulders and put a member of their group who was taking his Third Step that night in the center of the room – and said his Third Step Prayer with him. It was the most powerful thing Rick had ever experienced IN an A.A. meeting. He came back home and that experience stayed with him. He started sharing it in his network (specifically with the two other founding members, Terry C. and Aaron P.). Finally he was told, “Remember what our literature tells us, “WE CREATE THE FELLOWSHIP WE CRAVE.” It was in that moment that the fire was ignited and other interested A.A. members started coming together to discuss the possibility with him. Lot’s of prayer, lots of conversations with respective sponsors happened, and on June 18, 2018; 13 members of A.A. (from various groups around the area) came together to begin the conversation. 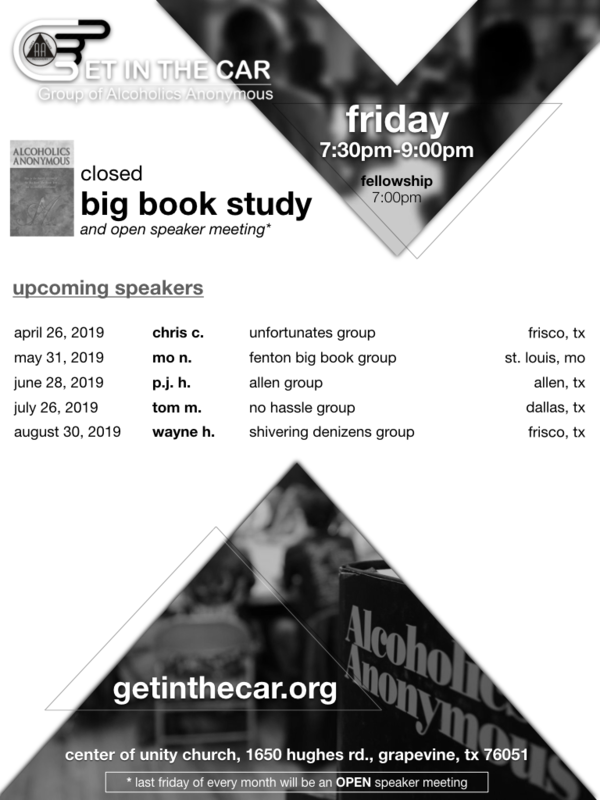 God doing for the group what it couldn’t do for itself – everything started to unfold and on January 4, 2019 – the Get in the Car Group of A.A. will hold it’s first meeting at Center of Unity, 1650 Hughes Road Grapevine, TX 76051 (map). We are grateful beyond measure to bring this deep and rich experience of the 12 Steps (Recovery), the 12 Traditions (Unity), and the 12 Concepts of World Service (Service) to Grapevine, TX. May God continue to bless our journey as we share our program of action with the still suffering alcoholic. 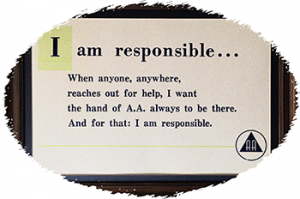 Our name came from the early days of A.A. where sponsors often said to sponsees, “Get in the Car”– which meant, we’re going to help another alcoholic. THAT – is our 12th Step of recovery. Our group members are “ALL IN” and committed to helping the still suffering alcoholic* in any way our program of action allows. * Our group supports A.A.’s “Singleness of Purpose” in that our meetings will only focus on our problems as they relate to alcohol. The guiding philosophy of our A.A. group is to create a family of alcoholics who come together solely focused on the teaching, learning, growing, and practical application of the 36 spiritual principles found in our Steps, Traditions and Concepts of World Service. It is our prayer that we remain diligent in embodying this spirit of all three of our legacies with everything we do, so that we create a space for those who crave that very same fellowship. We believe that our actions speak louder than our words, and members of our group will seek to uphold these spiritual principles and support this family in all they do. A very wise member of A.A. once said to a group of drunks: “If Jack Alexander* were to come to OUR group, close his eyes, and use what he heard to write a NEW article about A.A…, what would he write?” It is our hope that every person who is a member of our group keeps this in mind when suiting up and showing up! Our group fully participates within the A.A. General Service structure and the Northeast Texas Area 65 of Alcoholics Anonymous by having a General Service Representative (GSR) and Alternate General Service Representative (AGSR) that have been elected to be our group’s voice when business decisions are being made for A.A. in the U.S. and Canada.